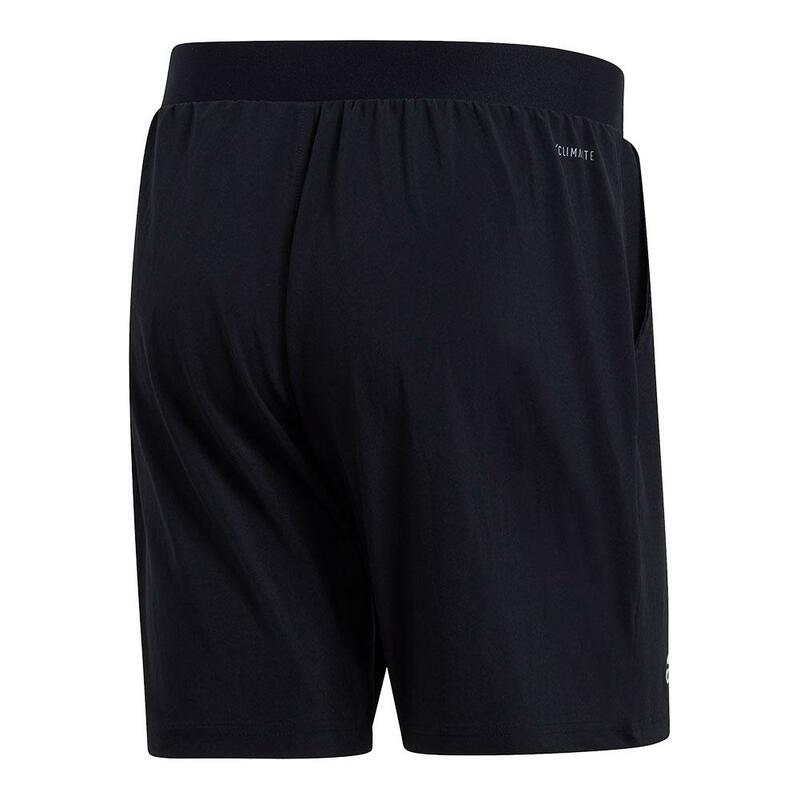 Get low before your swings in the Adidas Men`s Club Stretch Woven 7 Inch Tennis Short in Black! 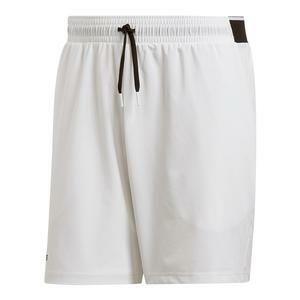 These shorts feature pockets at the sides fortennis ball storage. 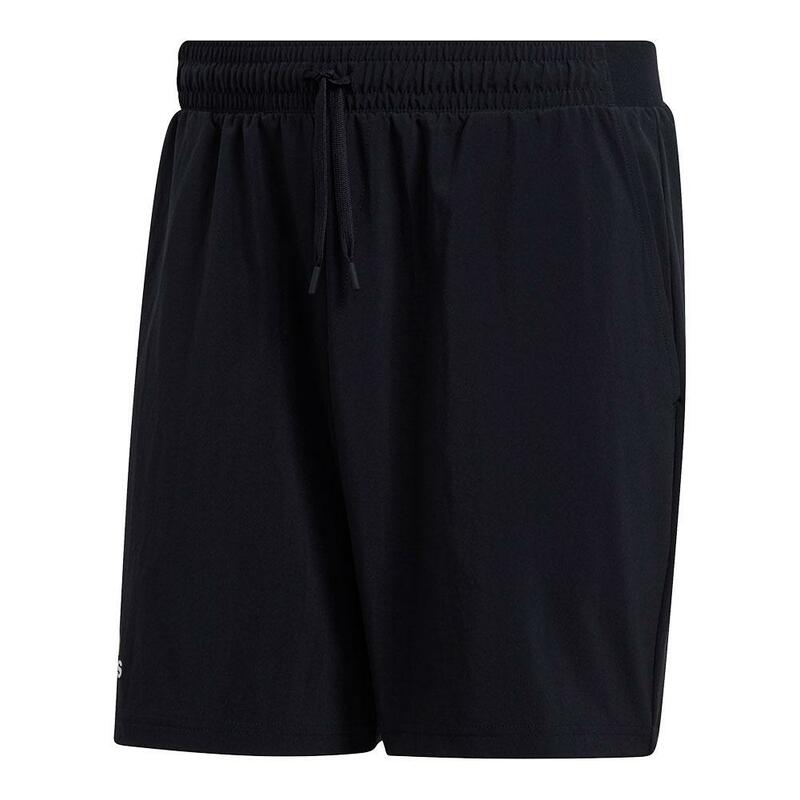 The waistband is wide at the back for support and a contrast color external drawstring so you can find your fit. 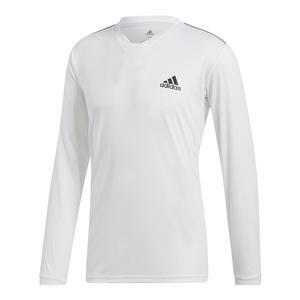 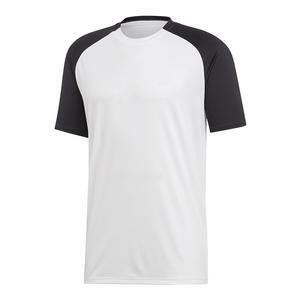 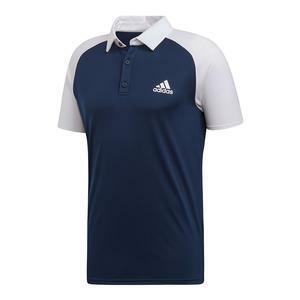 The poly blend fabric offers ultimate comfort along with performance and practicality. 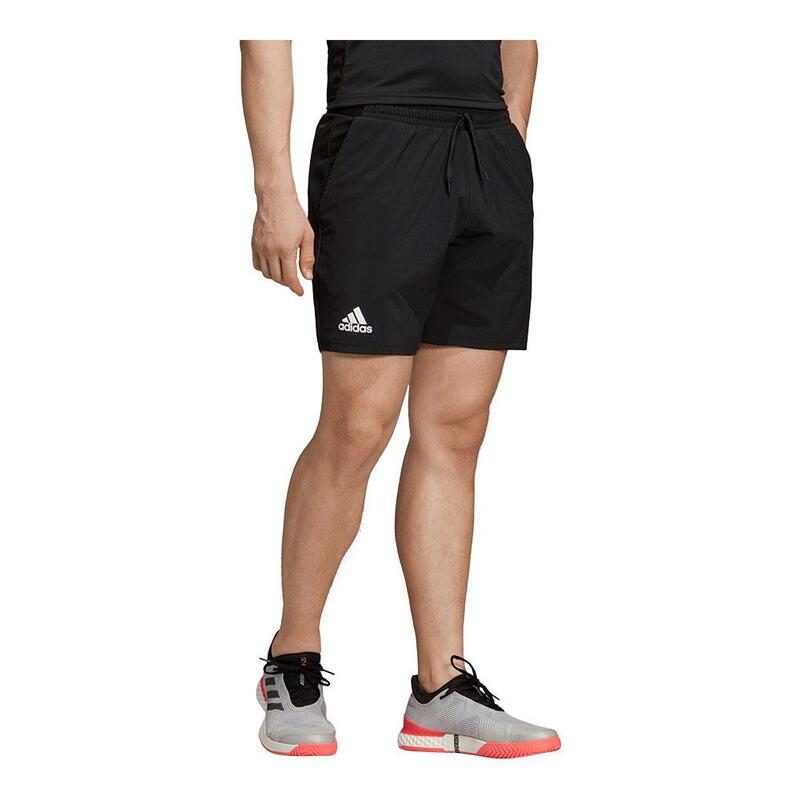 For information regarding sizes, please refer to our adidas sizing chart.